Acciaio Vincente is a RAC / Metal band from Mantova, founded in 2011 by brothers Ivan and Mattia. We have taken a little chat with the guys. Hi! Very nice to get in touch with you guys! Would you like to present yourself to our readers? - Hi! 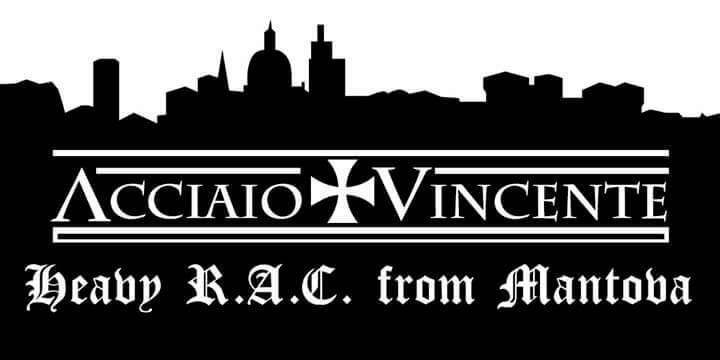 We're Acciaio Vincente from Mantua (Italy), we play RAC and we have played together since 2011. What does the name Acciaio Vincente mean? - It's the combination of Acciaio - Steel in English - and Vincente - Winning in English - that represents our music and our way to deal themes in our lyrics. How is it to work together brother with brother? - It's AWESOME share the stage with a blood brother, but actually it's like we're all brothers inside the band. What kind of music do you find inspiration from? - We instrumentally draw inspiration from classic trash metal in the 80's as Metallica and Anthrax, but as far as concerned our music environment, like Malnatt of Milan, gives us guidance in music. Do we need to fight to protect our nation? - It's essential that each comrade sacrifices soul and body to defend its own nation, but also its own family and race. I can’t say for sure but I got the impression that "Divide et Impera" was the release that got you outside of Italy! How was it back in 2013 when you composed it? - Actually, the work that made us cross the Italian borders has been traded with a German band and made with the PC-Records label; but "Divide et Impera" was the work that brought us to the first stages in Italy playing for VFS and S4S; thinking back when we had made up, we felt the great desire to emerge in us. Going back even further to 2011 the year of your debut demo "Professionisti Dell'Odio", what made you start up this project? - It was the will to start a musical project that was original in Italy and made in few, and historicly it was the first band in our city to play in the skin environment. Indeed, in Italy there have been few bands playing metal with national-socialist themes. You recently were on stage in Milano. How was it? - We played it a few days ago and it was great for us to play for the Hammerskins in Milan. We had really a nice concert. - It's awesome every time! What is Skinhouse for those who do not know about it? - In Italy, it's the headquarters for the skins of Milan where they take conferences and concerts. - Still not... but we already have new ideas about it. So, the end is here...thanks for your answers and the last word is yours. 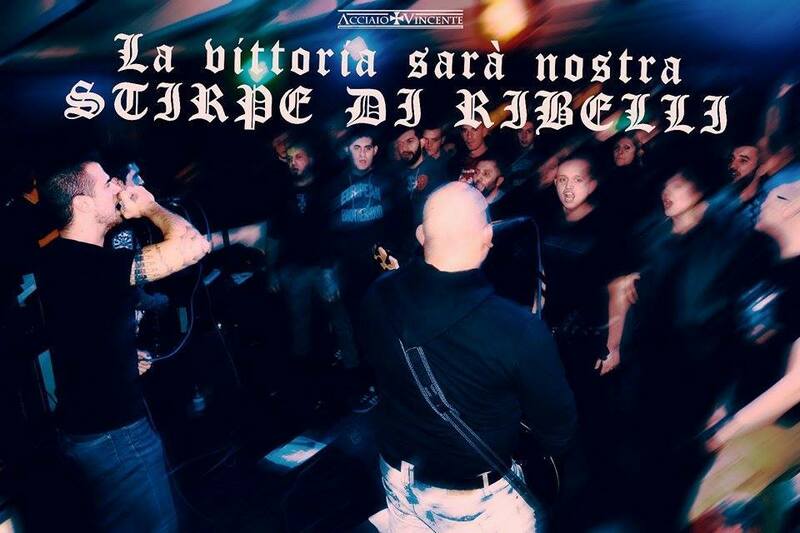 - First of all, we thank you for the space that you gave us, and we want to take advantage of it to greet the Veneto Fronte Skinheads guys (the association which we're related), and a greeting to all the comrades of Mantua, our city. See you on the stage!! We are fighting to protect!